The Argentine’s strike for Inter has won the UEFA Champions League goal of the week. 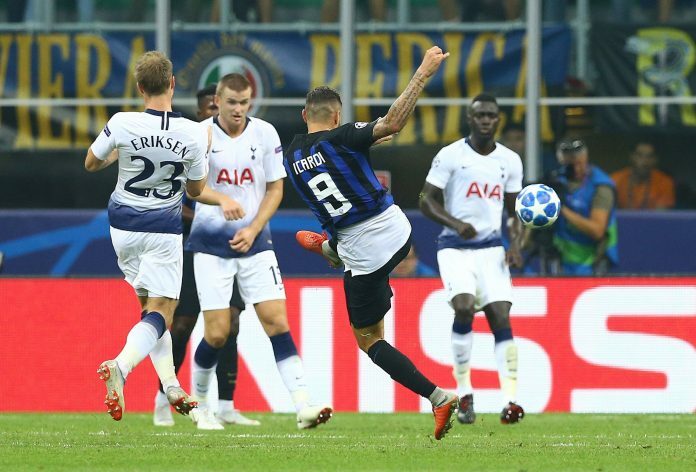 Mauro ICARDI’s first Champions League match resulted in a first goal in the tournament and his strike against Tottenham has been voted as the best goal of the week in the Champions League. 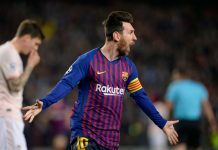 His right footed strike from 20 meters out defeated Ousmane DEMBELE’s goal for Barcelona as well as Mariano DIAZ’s goal for Real Madrid and Renato SANCHES’ goal for Bayern Munich. When you think Pavard and Nacho goals at WC were great, Icardi pulled similar goal with ease. How he actually missed out the WC….? As always. We had instead the so called “class players” with guaranted spot. Don’t try do that liar again? Meza cost us the French match?!!! You completely lost mind. Meza was not in starting line up. What about your oldies who started. Armani did decent. 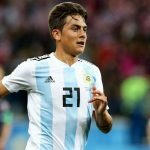 Tagliafico was one of our best in the WC. Otamendi did more to give the goals to France. Mascherano and Enzo my favourites? SHow me prove or be liar once again? what armani did decent??. he was responsible for the french loss he could have easily saved 2 goals. I don’t know the way he reacted to penalties in the WC a 10 year old kid would have scored against him. There were 6 players from previous WC that started in opening game against Iceland. If Romero wasnt injured he’d be there too, if you add the 3 subs that Sampa’s made, 2 of them were also from 2014 era, so that’s basically 8-9 players from previous WC. Its ridiculous that every new managers decided to keep playing with these 05-07 youth generations instead of integrating new talents which Argentina never lacks. The likes Icardi, Dybala, Martinez, Ascacibar, Paredes are more than ready for WC but instead , we brought deadweight like Biglia, Perez and old Masche who’s playing in China! Gonzalo Montiel in place of Leonel De Palacido. I’m expectating him some time. Little surpeised he was not called up yet. I thought he will stay NT players sooner than Palacios. There’s a lot of talents in that 2017 U-20 team that failed unlucky. Ascacibar, Palacios, Montiel, Lautaro Martinez, Foyth, Lisandro Martinez, Senesi, Colombatto, Ponce, Zaracho, Cristian Romero, Lucas Rodriguez, Valenzuely. They will emerge here and there in future. That Would be interesting competition to have in the team Saravia, Bustos, Montiel (Mercado) at the same. I believe among the 3 youngsters is the right man for the position. Actually Di Placido deserved few minutes as well but it’s impossible to find anough time for each. There isn’t a shortage of talent in Argentina but the promising talents had been in the wrong hands. 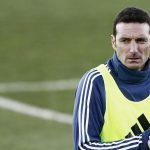 The previous coaches didn’t give them the chance to showcase their skills and the AFA neglected them completely by not having a project for them. On the other hand, Brazil named their A team for the friendlies. Do we need the oldies to come back? No! Coz these young guys have what the oldies lacked in recent years – fighting spirit. Beating a big team doesn’t need big names but it needs fighting spirit. When you look at captain Taglia, Ascacibar, Battaglia, Palacios, Pity Martinez…. you see how ready they are to fight and win for the team. “On the other hand, Brazil named their A team for the friendlies. Do we need the oldies to come back? No! Coz these young guys have what the oldies lacked in recent years – fighting spirit. Beating a big team doesn’t need big names but it needs fighting spirit. When you look at captain Taglia, Ascacibar, Battaglia, Palacios, Pity Martinez…. you see how ready they are to fight and win for the team”. This is it. That is what some people are totally missing in their arumentations. You may be proven class player of big club, but if you lost too many finals, the confidence, the eager, the fresh spirit will never be back. Few people don’t see the old generation is completely threadbare. Spalletti seems to stuck with his 433 which gives no room to Lautaro. I have the feeling that he prefers even Balde to him. Seems to me that the only chance for him to play is when Icardi, Politano and Perisic injure in the same time, which means tiny. Nothing new. 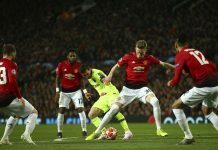 Our youngsters seems to have something that limits coach confidence to them despite their talent. I’m sure 80-90 % of our players that go to Europe are pure talents and all they need is enough care, coach confidence and patient and peace. “Seems to me that the only chance for him to play is when Icardi, Politano and Perisic injure in the same time, which means tiny”. Now we should call Lautaro up to NT. Give him start. He will score for us rather sooner than later and then Inter people will see who should play. True, it may help with high performance in the international games, the tifosi may help to put some pressure on the staff. Perisic is untouchable I can understand. I’d like to see him in the 9-half position, behind Perisic and Icardi, in a 4312 system. Lautaro already played in recent friendly and scored. Sorry my mistake,its another Martinez against Guatemala. Yeah, if the farmer Martinez will score in upcoming friendlies as bench warmer in Inter he will suddenly and at once stay class player for you I suppose. You are so much limited man. He need the right players not only starters of big clubs. L.Martinez currently injured that’s why he is not playing. Meanwhile former Argentine U-20 goalkeeper now 25 yr old Walter benitez back to back man of the match performance for Nice in French league.I have more expectations on benitez than error prone rulli. Take that Icardi haters!! These poachers need good service from the midfield to score. One of the reason for our goal drought for last 6 years is solely due to ultra defensive midfield of Masch and Biglia !! We need CMs who can defend, create, press and score!! Nothing… what Argentina finished is. Those celebrities… so called big names. the best prove of your personal ridicule predictions and judges about Tagliafico potentiall is FACT he is already NT captain!!! If he was not really good he would not be then captian. You can’t stand it and now you may only try to distort reality. I hope he will captain the team in the upcoming friendlies, too. He deserves to be the leader of the “new guards”. I hope there will be no situation that one of the oldies is back and take from him the arm band. Even if one of the old generation will back Tagliafico should be still captian because we need the clear signal ‘here’s new generation that took the lead and none of the oldies may feel as if he had guaranteed place in team’ as it was previously. The youngsters need the feeling of collective responsibility for the team. It’s no more Messi team. My opinion the reason that the national team. Couldn’t be balance team and collecttive. Let the man stay and do what he does best. Gonzalo, we are on the same page most of the time, except on Tagliafico. Of course he was not the only one that caused Argentina wc elimination but to be honest I have never been impressed by him, maybe except his 1st game against Brazil last year, I found him decent. He still has a lot to learn, especially on his defensive placement. He also need to develop his tactical sense. For sure he’s a hard worker and he gives it all but sometimes I have feeling he runs for nothing and a bit naive. I hope he can work with a top coach who can help him to improve. Atletico will be great for him, Godin and Felipe Luis are both getting old and Hernandez can play as CB. He may learn a lot there. Anyway I don’t see anyone else than him currently as our left fullback. No matter what, he is still the most eligible in this position. Since I’m watching Tagliafico, i.e. 2011 I always thought he is forst of all good defender more than attacking player. And that’s thanks to his heart to play. There are always things to improve but Tagliafico is great material. Nico Tagliafico is a player of Zanetti/Zabaleta type. Not outstandingly talented but full of professionalism and hardworking. He will be with the team for next 10 years.